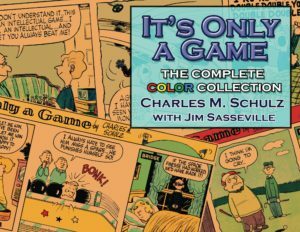 In the late 1950s, amidst the surging popularity of Peanuts and during a strongly creative period, Charles M. Schulz created his only other syndicated newspaper comic. It’s Only a Game focused on the fun and foibles of people and their pastimes. Schulz targets those who play bridge and those who bowl, little leaguers and horse track regulars, those who rush across the gridiron and those who hunch over the chessboard. 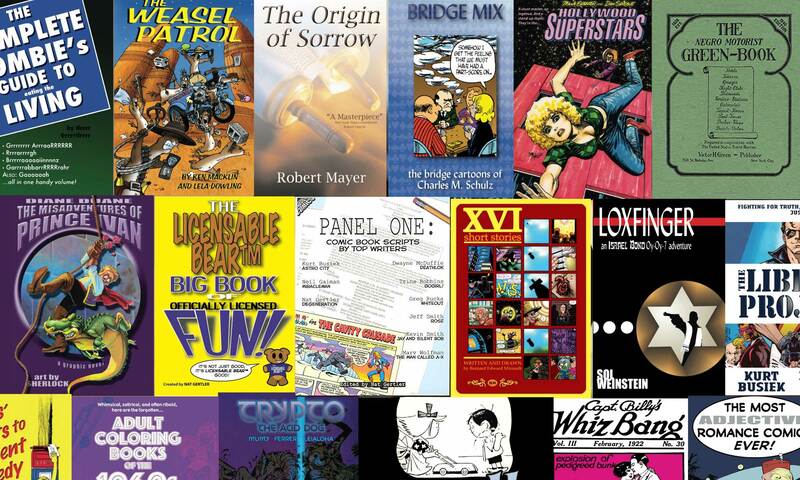 This full-color collection offers up the series in its full Sunday format. 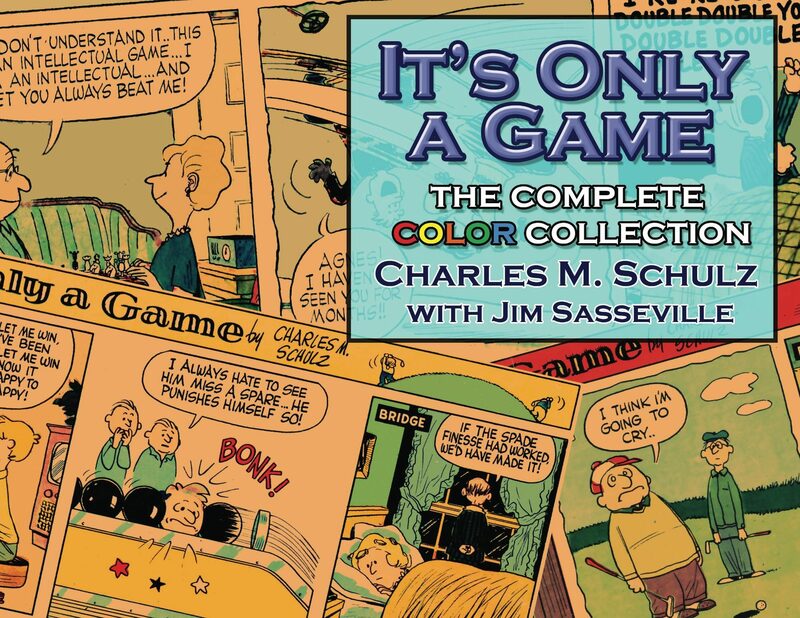 Commentary and insight are provided by artist and cartoonist Jim Sasseville, who worked with Schulz on the feature. To facilitate the best display of the art, this book is in a special format: the pages flip up like a calendar, rather than to the left like a regular book. For those readers used to the Sunday newspaper funnies, this makes for a familiar and comfortable reading experience.